It adds up! You don't realize how much spare change you have 'til you count it. 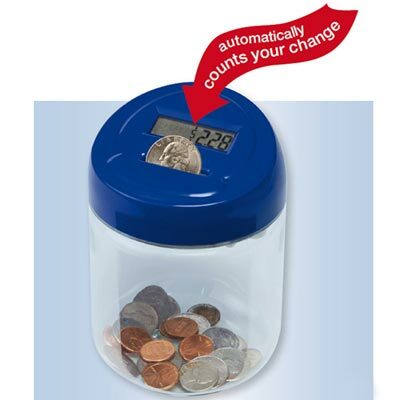 Lucky for you, this jar lid counts automatically and displays the total. Durable clear plastic with plastic lid. Uses 2 AA batteries (not included). 5"h. Limited Quantities!